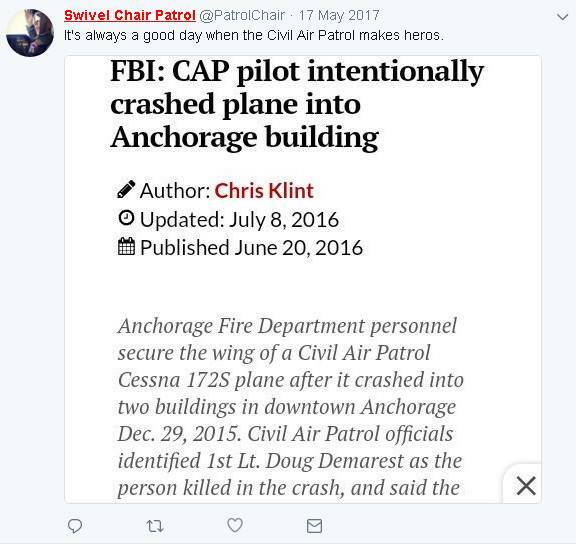 I don’t like Michael Fernandez Utah Wing Civil Air Patrol very much, so I’m going to clue your project into another CAP freak show that you have not yet reported on here. 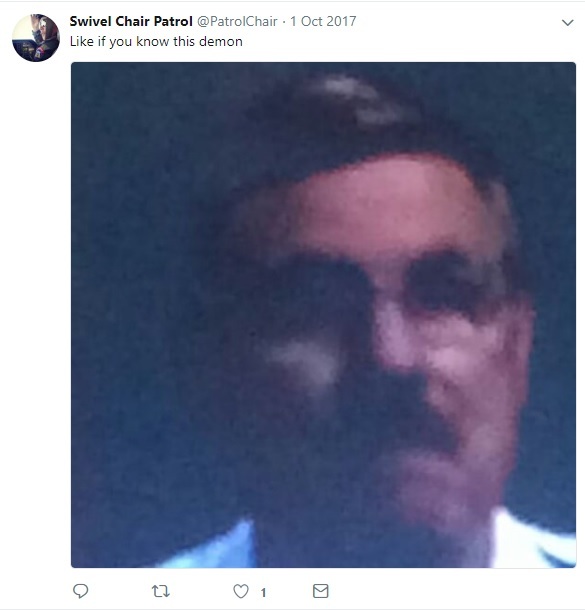 Do you remember the cadet YouTube video that humiliated Joe Vasquez and Larry Myrick? 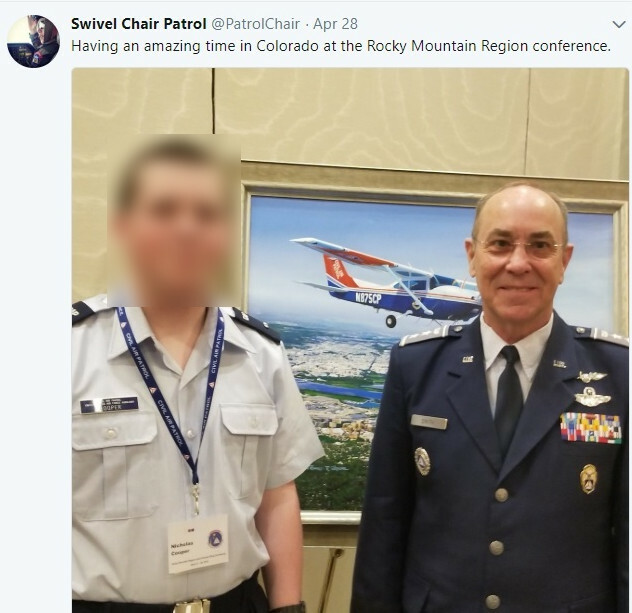 Well, another Civil Air Patrol member has taken that to a far, far higher altitude. 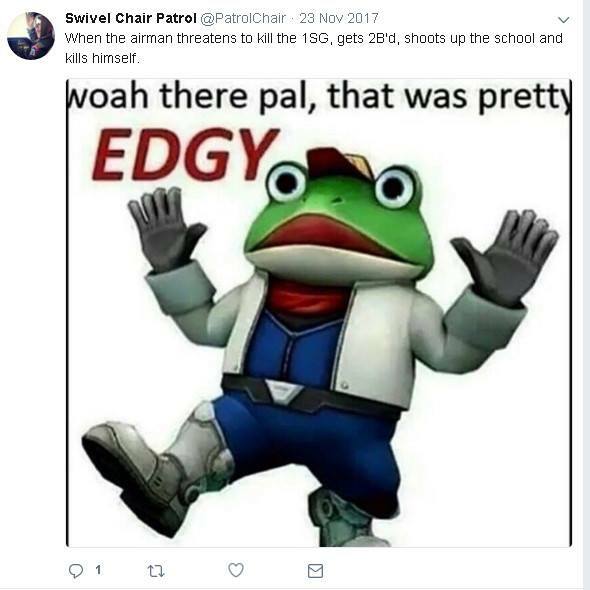 Utah’s [redacted] has twitter squat on a beloved name and icon from Civil Air Patrol’s comedic history to mock our embarrassing operation. 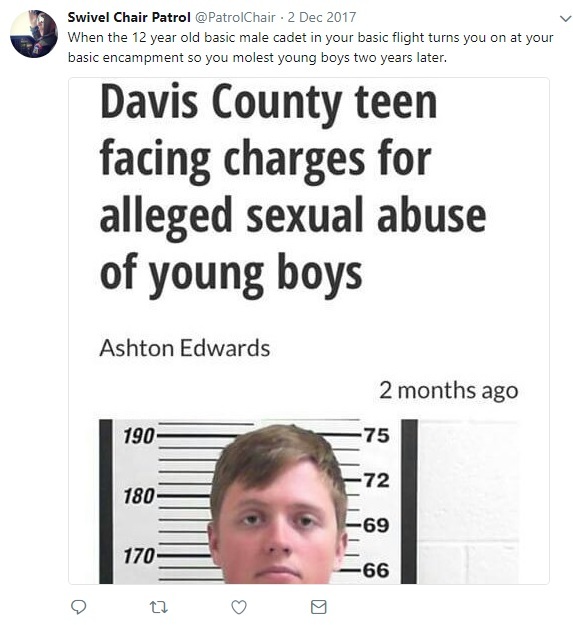 This Twitter account outed Civil Air Patrol cadet and X-box child molester c/1st Lt Alexander C. Winward. 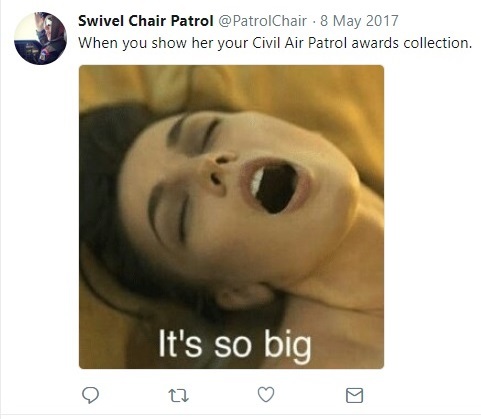 Cadet Winward received Civil Air Patrol’s Amelia Earhart Award in May 2016. 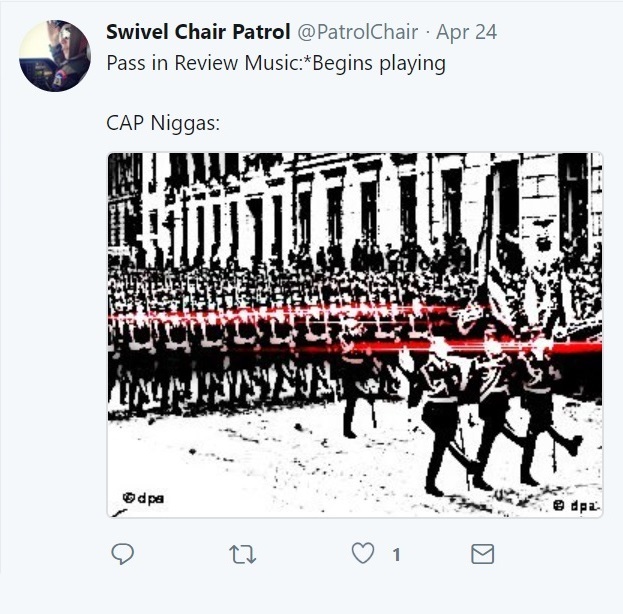 Scroll down for a summary tour of this cry for help or skip on over to the actual Swivel Chair Patrol Twitter page to see it all raw and nasty. Oh, and tell USAF Secretary Heather Wilson that I would like to [redacted] with Senator Orin Hatch.